The Nigerian Elections Debate Group (NEDG) and the Broadcasting Organisations of Nigeria (BON) have released the names of political parties that will be participating in the 2019 vice presidential and presidential debates. According to the statement signed by the Executive Secretary of the NEDG, Mr Eddi Emesiri, the parties are Allied Congress Party of Nigeria (ACPN), Alliance for New Nigeria (ANN), All Progressives Congress (APC), Peoples Democratic Party (PDP) and Young Progressives Party (YPP). The Vice Presidential debate will hold from 7 pm at the congress hall of the Transcorp Hilton in Abuja on Friday, December 14, 2018, while the presidential debate will hold just over a month later, on Saturday, January 19, 2019. The debates will be transmitted live on all BON member stations and its affiliates as well as live streaming on all social media platforms. 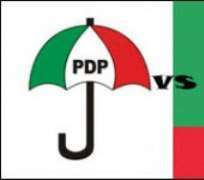 NEDG and BON had announced dates for the debates on November 22 at a press conference in Abuja. According to them, the debate will focus on the issues that matter most to working families; restoring the economy, providing electricity, creating jobs, securing health care for every Nigerian, making and achieving excellence in every Nigerian school and ensuring safety and security for Nigerians. The Nigerian Election Debate Group sets the format and rules of the debate, handles moderation, outlines the criteria for political party participation, ensures the objectivity of audiences and steers negotiations between broadcasters and the parties.